You can start your credit card research here or here (I like the second link as a starting point personally). The link takes you to a page with a few recommended rewards cards. There is also a tool for you to research the perfect credit card for your needs. You can pick up a card or two for yourself and your significant other can do the same. In no time at all you will be traveling the world tax-free, all thanks to the IRS. Doesn’t filing for an extension of your taxes only delay when you need to file, not when your payments are due? That is, even if you file for an extension, and by 4/15 you still owe the IRS taxes for the last tax year, then you incur penalties and interest unless you meet one of the four safe harbor provisions? Fiby, you still pay all your taxes on time, just with credit card to capture bonus rewards. Estimated taxes are paid monthly during the year if you reduce payroll withholding and any balance due by the due date with the extension. The lump sump for massive spend is only done after the fact when all required taxes have been paid. You just delay filing so you can make a huge estimated tax deposit for the prior year and then file for a nearly instantaneous refund. This leaves you with no money out of pocket and a large amount of credit card points. Ooohhh okay got it. The lump sum is only an “extra” payment for the sake of manufactured spending. For some reason I thought you were saying delay paying your actual tax bill. My bad. This is really interesting. As a small business owner, I’m slowly learning these things. We have an S-Corp and I’m learning a lot from your site and knowledge so keep it up!!! One thing I don’t really know, since we have a payroll service that handles the payroll taxes, can we pay it out using those links with on a 940? So, instead of the payroll tax being pulled from the account by the payroll service, we simply pre-pay it through there on the credit card? Then we have to keep track of the pre-payment and file that in our 1120 for the year? Again, forgive my ignorance, I’ve had an accountant do our Corporate taxes the last two years, and I’ve been digging through them now that I have two samples to see what all is involved and if I can potentially do it myself. Anyway, thanks, your stuff has been great so far!!! MrWow, you can request your payroll service allow you to make the tax deposits. They can still handle all the withholding, reports and W-2s. 1. Once we change our w/h on the W-4 at work, do we have to print and send any additional forms to the IRS to pay those estimated taxes each month? I actually thought that estimate tax payments are mostly for self employed or business owners, not employees of corp. America. 2. Must we pay federal income taxes MONTHLY or can we pay them bi-monthly or quarterly when we have new credit cards (kind of like bunching)? 3. Can we switch such strategy back and worth as we wish?… meaning when we have enough CC’s, we’d amend the W-4 again to have our taxes w/h from our paychecks? 5. Any advice what records to keep or how to organize our records in case the IRS gets curious about the stuff reported on Line 65? I’m guessing IRS doesn’t require to see copies of each payment made during the year, right? 6. Not sure I understood how the massive hack happens at the end of the year. Can we make a few payments during December using a few different CC’s? Say I make $10k tax payment in December and file taxes in January and that’s how I get it back as a refund? Line 65 sounds confusing to me “2016 estimated tax payments and amount applied from 2015 return”: How does that 2015 get in the middle here? I thought it was taken care of in 2016. …no wonder I’m not a tax preparer LOL. Anyway I’m asking all these questions because I’ve done our taxes by myself. They’re simple enough plus I like to know what happens even if it gets a notch complicated. Mimoza, anyone can make an estimated tax deposit. 1.) Using the online portals I provide there will be no additional forms to file, like the 1040-ES. 2.) You can pay more frequently, but some sites only allow two payments per month. I recommend paying at least quarterly to avoid tax penalties and to keep the amount due down to a manageable level. 3.) Absolutely! You are not stuck with my program just because you try it. In fact, I encourage you try it. If you don’t like it or for any other reason, stop. 4.) ES payments go on the line below where W-2 withholding goes. So, yes, Line 65 of Form 1040 (on the 2016 tax return). 5.) Your credit card and the payment portal provide your receipt. The portals I provided are qualified providers of the IRS. You will need to keep records of the ES payments to file your 1040 tax return. 6.) Once you pay the required tax, you can make an additional estimated tax a day or so prior to filing. This allows for a fast refund (no money out-of-pocket). Because the refund is fast you can maximize the benefits should you need them for your vacation plans. Don’t worry about the verbiage on line 65. All that means is if you applied part or all of the previous year’s refund to the current year, you add it to your estimated payments and report the number on Line 65. Since I can claim the EITC, thanks to my little credits, can I make a payment in Jan 18 for Tax Year 17 to receive a refund in Feb 18? Jason, it does not matter where the refund comes from. You don’t lose the EITC just because you borrow money from a credit card to pay estimated taxes. If you supercharge an estimated tax deposit in January of 2018 you can file in February of 2018 and get your normal refund, PLUS the extra, overpaid estimated deposit. 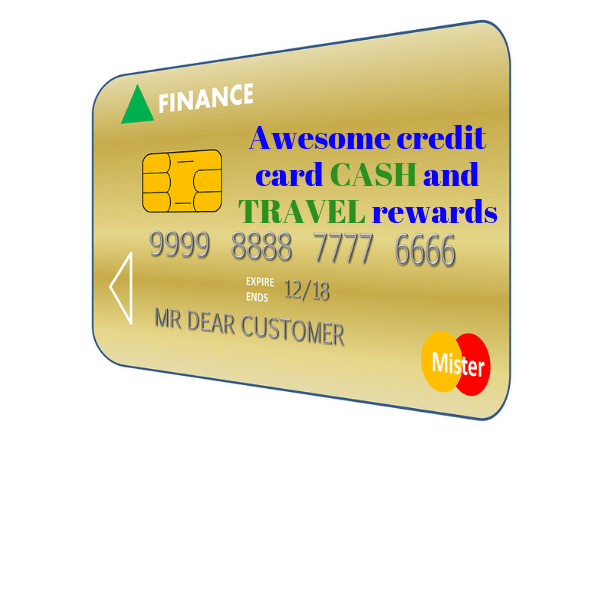 The credit card rewards are tax free so you can enjoy a nice vacation on the government and credit cards companies or take the cash. Is adjusting your W4 exemptions past what actually describes your situation allowed? Or I assume it would only be a problem if you weren’t making periodic payments? You’re allowed to change your W-4 to meet your tax needs. Making ES payments via credit card is acceptable. Owing a lot of money at year-end and stiffing the IRS would cause a problem. But you would never do that. Right? I’ve been meaning to ask a question, but I didnt want to ask without a related post. I feel this post is my open door. What can you tell us about IRS mandated minimum employer withholdings? I currently have my W4 set to 99 exemptions. The result is I’ve paid $0 in federal income tax in 2017. I’ll only owe $2500 or so, assuming I hit my HSA and TSP contribution goals and achieve my rental income goal. My intention is that I will change my w4 toward the end of the year to get the IRS their money. However, I considered underpaying so I could charge some of what I owe for CC bonus purposes, but I didnt want to underpay to a point I’m penalized. My understanding is that if I owe less than $1000, theres no penalty. Your post seems to achieve my objectives better, as it indicates I don’t need to use my W4 at all. I can use estimated tax payments instead, perhaps even one lump some to meet the annual obligation and net a bonus. Anyway, I’m still curious about my questions. Is the 99 exemptions putting me in danger of being flagged for mandatory withholding? What is the most I can owe the IRS without triggering a surcharge as a W2 employee? I appreciate the post, smart way to manufacture spend and utilize tax refunds as necessary. I’d think the IRS or CC companies would clamp down if a lot of people did this one. Bill, the IRS doesn’t care if you pay by credit card and neither does the credit card company. That you get bonus points has nothing to do with paying your taxes. The IRS says if you claim exempt you do not “expect to owe any taxes” for the year. I’ve never seen the IRS come in and force someone to withhold more. (Okay, I’ve seen it, but it has been a while and in every case the taxpayer was years behind in their taxes owed.) Changing your exemptions on the W-4 is a normal process. Rarely does the IRS get involved in that process. As long as the government is getting their money in a timely fashion there should be no problems. The $1,000 rule to avoid penalties is true. If you owe less than $1,000 and pay in full by the due date without extensions there is no interest or penalty added to the balance due. Another safe harbor involves using last year’s tax liability. If you pay (withholding or estimated taxes paid on time) an amount equal to or greater than last year’s liability you can owe more than $1,000 and still avoid penalty and interest if paid by the due date, not including extensions. What I propose in this post is you can switch withholding for estimated taxes to harvest credit card bonus rewards. Using this method on a card without the bonus, even if the card pays back 2%, is kind of a waste of time. However, to harvest a big bonus it starts to make sense if your normal spending is low, as it is for many around these parts. Here are a few more things you need to understand about estimated taxes. Thanks, I think I foolishly skipped the estimated tax payment article, thinking I’m a w2 employee who need not be concerned with such matters. Usually I just read anyway, as seemingly useless info that lays dormant can come alive in the right circumstance. I now see you already addressed a number of my questions in that post. You graciously still responded to my comment, so I appreciate you taking the time. I’m just curious about a couple of details. 1) The extension is necessary because now you can file your taxes from January to October, instead of January to April, so you have more time to make this super one time payment and get the money back in a couple of weeks? I got lost on the part about making a payment for the 4th quarter of the previous year. Let’s say I filed an extension. So I have until October 15th, 2017 to file. Using pay1040.com, the option “Form 1040-ES Estimated Tax” only allows payments for 2017. 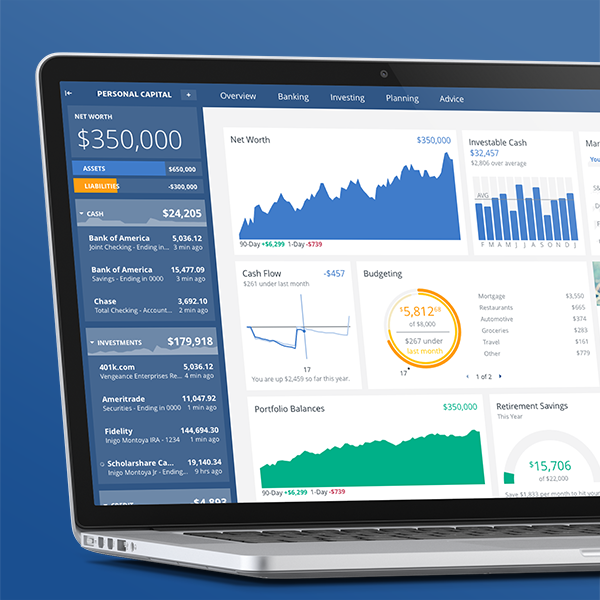 How do I make the choice to make an ES payment for the 4th quarter of 2016? 1.) Yes, otherwise you can file by the due date. 2.) Yes, as long as you haven’t yet filed. You want the refund back so you don’t have cash out of pocket. If the option for payment on the previous year is not available make the payment as part of the extension, Form 4868. If neither of these options are available you will only be able to super charge your manufactured spending until the regular due date. I just used your link for a new 100,000 points Hilton card. I’ve been mulling this over for a bit and have thought about marking myself as “exempt” on my W-4 in order to stop withholding taxes (and start making quarterly payments with my credit cards), but I can’t find anything to back up your statement that the IRS won’t care about what I put on the W-4. “You can claim exemption from withholding for 2017 only if both of the following situations apply. – For 2016 you had a right to a refund of all federal income tax withheld because you had no tax liability. There is similar language that says you can’t claim more allowances that you’re entitled to and this may be subject to IRS review. Based on some of your previous responses, it sounds like you’re saying they don’t enforce this as long as you’re paying taxes on time and not to worry about it. On the other hand, wouldn’t the IRS have a case against me if they did decide to investigate? The language seems fairly clear to me that what you’re describing (claiming exempt) isn’t allowed for regular W-2 employees, but maybe you can point to a source that says otherwise? Noah, it’s not enforceable if you owe no taxes at tax time. The IRS can inform your employer to reset your exemptions, but I’ve only seen this when the taxpayer is in arrears. The penalty only applies if your tax liability is too large when you file. There are several outs. The easiest to remember is never owe more than $1,000 and there is no penalty if you pay in full by the due date. That includes ES payments. Anytime you owe more than a thousand, pay it. This might be every pay period. BTW, a tax form is not tax law. The IRS has a history of demanding more than the Tax Code requires. Rather than claim exempt you could claim 9 exemptions. This would effectively do the same thing. The exemption code in the payroll software is 99. Finally, this only works with federal taxes. There are a few states it works with (three if memory serves). But every other state cannot be paid by credit card. Thanks for the extra details, definitely good to know about tax forms versus tax law. We’d be paying at least $1k in taxes per month, but it looks like the websites you link to allow that no problem. Just need to decide if it’s worth the extra effort of manual payments for the credit card rewards. And luckily I’m in Washington, so I don’t have to worry about state taxes for the time being. I just used your link to Pay1040 to help hit the minimum spend on a new card. Thanks for putting this out there! With any luck it will fund travel in the not too distant future. This sounds like a very interesting strategy. I do have a question as to the legitimacy of claiming ‘exempt’ on a W-4 form with my employer. I know you’ve been preparing taxes for many years so you know you’re stuff, but is it OK with the IRS to claim Exempt when you have a tax liability? “No tax liability” is not the same thing as “no taxes due”, is it? I was reading on a Bogleheads article here: https://www.bogleheads.org/forum/viewtopic.php?t=209598, that there is a risk of getting an IRS “lock-in-letter” where you will be blacklisted from ever being able to change your W-4. Would it also work if you just leave your W-4 status alone and not make quarterly estimated taxes, but just make a single over payment during the following year’s extension? You might draw the IRS attention for making a single overpayment per this strategy, but at least you wouldn’t be accused of claiming Exemption status on your W-4 if you really do have a tax liability and should not necessarily be claiming Exempt. Eric, no tax liability is different from no tax due. However, in this instant it is the same. The IRS cannot force you to overpay your taxes. I can only think of what would happen if you contacted your Congressman and inform them the IRS wants to bankrupt you by forcing you to give the government a large interest free loan. I give it 30 seconds. A lock-in letter results from large balance dues on your tax return and claiming exempt or a large number of exemptions. I’ve only seen this when the person getting the letter has past balance dues owed the IRS. Once again, if you pay your taxes via another route, the IRS has a hard time forcing you to overpay through withholding. There have been several comments revolving around this same issue. If the IRS at some point forces you to withhold from your wage you can always stop the strategy in this post. People are overthinking this. Owing the IRS more than $1,000 (safe harbor) at tax time will cause you to owe an interest penalty. If you pay at least the previous year’s liability in a deposit (withholding) you also meet the safe harbor. If you file an extension and owe you will also face an interest penalty. Finally, claiming Exempt is an extreme example to illustrate what is possible. Unless you are going for mega miles you will be less extreme. Changing your W-4 is not unusual. Claiming a large number of exemptions or Exempt late in the year is a strategy some people use to increase their take home pay for the holidays. They overpay early in the year to cover their annual tax liability and reduce their withholding (sometimes to zero) late in the year. To your first question again. A liability is something you owe. If you don’t owe you don’t have a liability. One more thing to keep in mind. Withholding is considered paid equally throughout the year; estimated payments are credited when received by the IRS. You can’t reduce your withholding and pay a large tax liability at tax time and expect no consequences. This is a strategy that works only if you use common sense. Thanks Keith, that explanation smooths over my concerns with this strategy. I’ve always been careful not to draw negative attention from the IRS and always try to cover my basis to ensure everything is legit and no rules are broken. In the end, it isn’t just about making sure you play by the rules but also trying not to draw unwanted attention while doing so. Keith – not trying to beat a dead horse but just want to make sure I do this right. I am planning to claim exempt and pay my federal taxes via credit cards for bonus points. I understand that I need to pay timely but does that mean I should pay my estimated taxes every paycheck, every month, every time my tax liability approaches $1,000 or on the estimated tax dates? Just trying to make sure I pay often enough. I would pay my estimated taxes monthly in such a case, Chad. I may have missed the answer to this in the comments. Due to a modest income, a child, a homemaker spouse, and a couple other tax credits, I have zero tax liability for 2017. I did have some 2017 withholding, which I will get a full refund of. I could really use a couple thousand dollars of spend to meet a signup bonus. So my question is… Could I make a tax payment for 2017 via credit card in, say, February 2018 even though I owe no taxes, and then file my 2017 tax return a week or two later to get my ordinary refund plus a refund of the non-necessary credit card payment? Justin, I don’t see why not. I’m not sure if the online payment systems will allow it, but they should; if you mailed in a check it would be fine. There is certainly nothing against the rules making an extra ES payment just in case and then getting it back in a refund. Thanks, Keith. So you can make an estimated tax payment even if you’re not required to? Good to know. And it looks like I may have asked at the right time by happenstance, since 2017 Q4 estimated tax payments are due tomorrow and the online payment systems may not allow it after tomorrow. So maybe I just pay now rather than February when I will have everything needed to file my return. Hi Keith, thanks for this great post. One question for you: Is filing the extension necessary if on April 15th I am ready to meet my credit card bonus spend? That is, say I owe $1,000 on my 2017 return. Can I on April 15th make a large tax payment for 2017 ($10K), file my return and receive an $9K refund? Or is filing the extension a necessary component of this deal? I don’t see why not, JC, but that would probably cross in the digital mail and cause problems. I think it takes a day or so at least for payments to post at the IRS. You can always request the IRS to send the remainder, but that might take more time than you want. But if I owe money on my return, how can I make this work, then? Does this only work if I am owed a refund? Or do I make a payment on 4/15 of what I owe and then file an extension, and then follow the steps above? You got it, JC. Owing taxes is why this was set up. Make the payment by the due date (4/17 this year) and file an extension if needed. Be sure to file by October 15th. However, when I go to any of the tax payment sites you linked to above, paying an estimated payment for 2017 is no longer an option. Can you help figure out how I would actually go about accomplishing paying an estimated payment against 2017 once I’ve filed my extension? Do I just make the payment against the regular 1040 Series rather than the 1040-ES estimated tax? Thank you! Form 1040-ES Estimated Tax” only allows payments for 2017….not for 2018 yet on all website you stated above, Than how do I pay monthly ? or they will open up 2018 after few months? They probably open 2018 fairly quickly here as 2017 ES payment due dates are all past. My guess is they don’t roll over to the new tax year until they close the old. As soon as they accept 2018 payments you can catch up. Just hold the funds until the IRS can accept the money for 2018. As an FYI, the IRS computers only opened two days ago for efiling for individuals. The initial deluge meant acknowledgements were slow. My office’s response time from the IRS today is back to normal with acceptance received in a few minutes.